BlueStar Group uses proprietary Internet marketing techniques, working with national and local clients to create positive, branded, online visibility. BlueStar Group helps clients gain visibility with Google search results with their company showing up on the first page of Google searches within their area of market focus. BlueStar’s goal, for every client is: online visibility that translates directly into new customers. Client after client, results are fast, traceable and real. BlueStar Group has made it easier for local shoppers to find national brands. We do this by working as an extension of the brands’ marketing teams. Together, we brainstorm, strategize, test and analyze to increase leads and drive down costs. No doubt, you’ve dedicated a lot of brain power and financial resources to brand development. We go beyond brand recall to brand performance. From managing the accuracy of business listings for your locations to creating powerful local search and mobile campaigns, we make sure customers can find you when they’re ready to buy. BlueStar Group hangs out with an impressive crowd - each company a possible channel for your campaigns. Whether through search engines like Google, Yahoo! and Bing, mobile and online directories like Google Places and Google+, we work with North America’s top publishers. BlueStar Group manages a complex ecosystem with hundreds of advertising venues. We can find the right ones for you. Not sure which part of your advertising is working? We insist on quantifying the dollars you’re spending. Through interactive campaign analytics and response measurement testing, we’ll count the impressions, the clicks, the calls and even the conversion rates to give you accurate ROI reporting. That intelligence is applied to further perfect future marketing efforts. Gordon is an online marketing specialist, advising many local providers of goods and services, he has developed a specialty in hospitality, restaurants, real estate, legal firms and professional service firms. The strategies he uses are transferable to any industry, he works with Puget Sound clients to create high return on investment marketing campaigns using Search Engine Marketing (SEM). 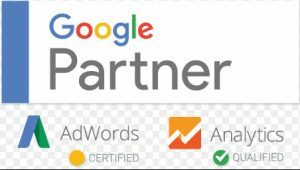 BlueStar Group is a Certified Google Partner in both Google Adwords and Google Analytics. This Certification is awarded to a select group of digital marketing agencies that qualify with tests and expertise in Google Marketing Tools. Gordon uses tools such as Google Adwords, Google Display Network, Google Places, Google+, Twitter, Yelp, and Bing Search for local companies. He also consults businesses with needs relating to Online Reputation Management campaigns to improve negative Internet reviews. He founded BlueStar Group with the principals of providing integrity, vision, marketplace knowledge and a profound sense of customer service to a young market needing leadership. Previously, his experience includes being Vice President of Online Media Operations for X10 Wireless. He was in charge of all media buying, major account relationship with Google, MSN, AOL and Yahoo. He negotiated multi million dollar advertising buys and created a unique metric analysis tools that measured advertisers Return on Investment(ROI). Prior to founding BlueStar Gordon was the founder of Endura Software, a supply chain management company. Endura was founded in 1984 and grew from four employees to 190 employees and was sold to HK Systems 1998. During his tenure at Endura, Gordon served in various capacities including Executive Vice President of Business Development, Chief Operating Officer and Vice President of Marketing and Sales.